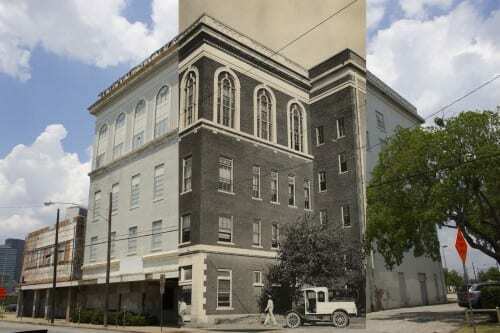 Archival photograph of Knights of Pythias building over current day disused building. Photo credit: Christopher J. Dowdy. All rights reserved. Knights of Pythias building over current day disused building. Original photo, present day photo credit Christopher J. Dowdy. All rights reserved.